Crimson Trace LG-415G Green Lasergrips are designed to fit Ruger LCR/X revolvers by simply replacing the factory grips. 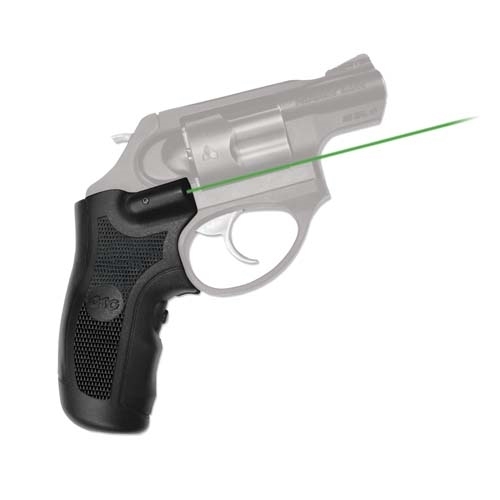 This green laser sight features Crimson Trace's famed Instinctive Activation, which activates the laser when the firearm is held in a natural firing grip. Laser activation button is located in the front, and the unit includes a Master On/Off Switch for completely powering down the unit. With battery life of over two hours and fully adjustable for windage and elevation, the LG-415G is quickly user-installed in moments with zero alterations to the firearm.